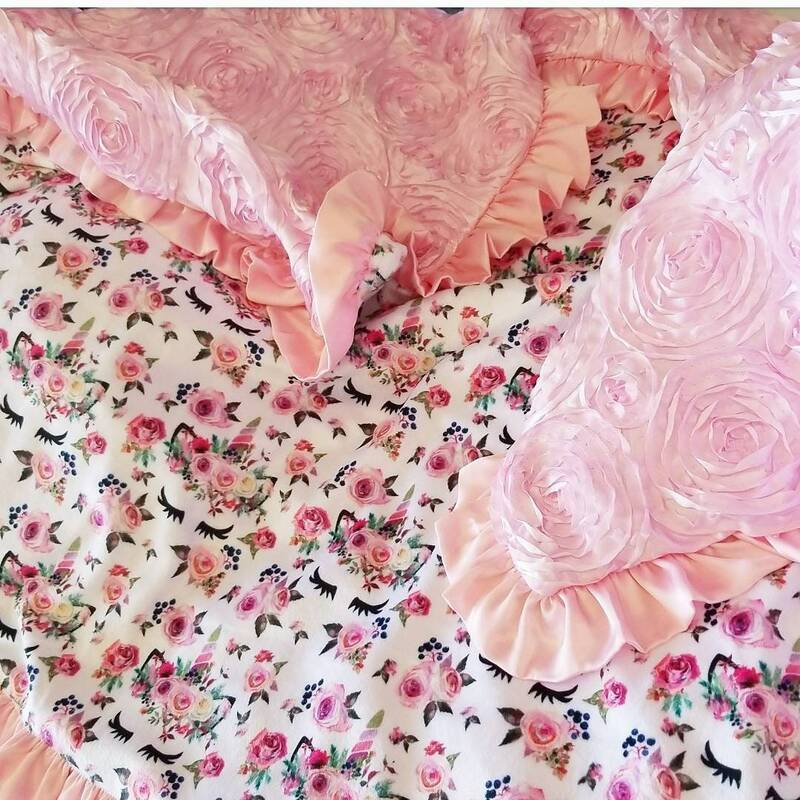 This luxurious minky blanket has been finished with a hot pink satin ruffle. 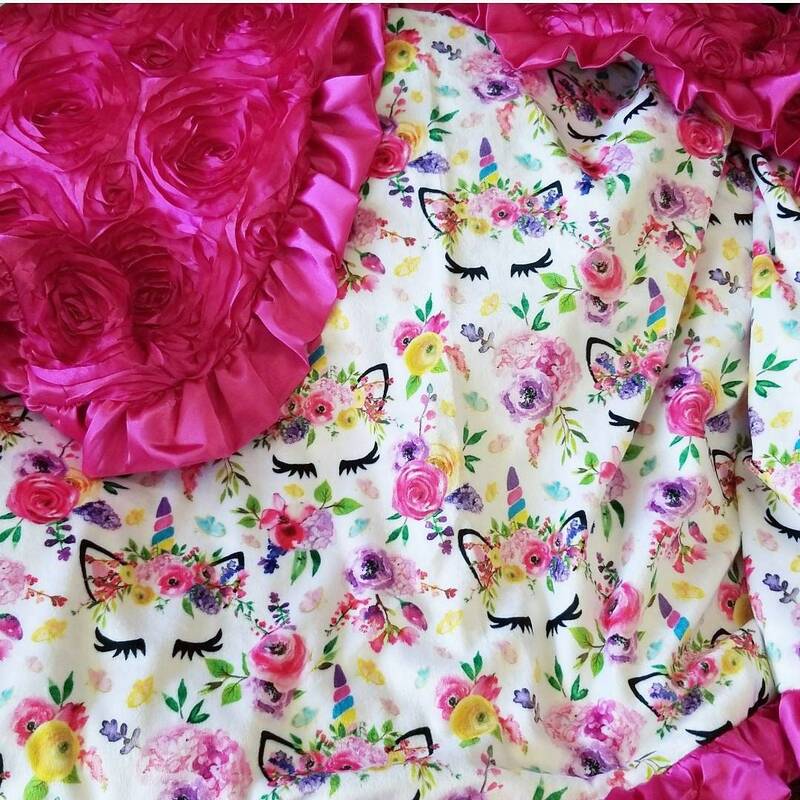 This has hot pink satin rosette on top and a custom printed unicorn minky on the bottom. This blanket measures approximately 38x54"